WINNER of OUTSTANDING OVERALL PRODUCTION OF A NEW PLAY, OUTSTANDING DIRECTION, OUTSTANDING LIGHTING DESIGN in the 2012 Planet Connections Theater Festivity. 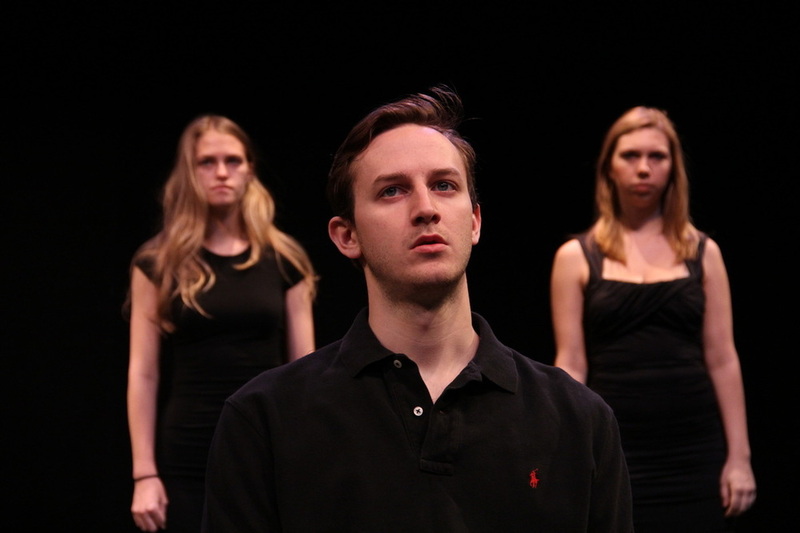 THE AMERICAN PLAY follows two college students, Tim and Luis, who bond over the author Bret Easton Ellis in American Lit class. As the boys try to define themselves as men, their fantasies of a Patrick Bateman-like existence expose deep-seated insecurities and desperations that they will do anything to hide. The two-man play incorporates an all-female chorus to create a heightened, surreal environment. Created by women and told from a male perspective, THE AMERICAN PLAY asks what makes a man a monster. THE AMERICAN PLAY benefited Sanctuary for Families by raising monetary donations and self-care personal items. 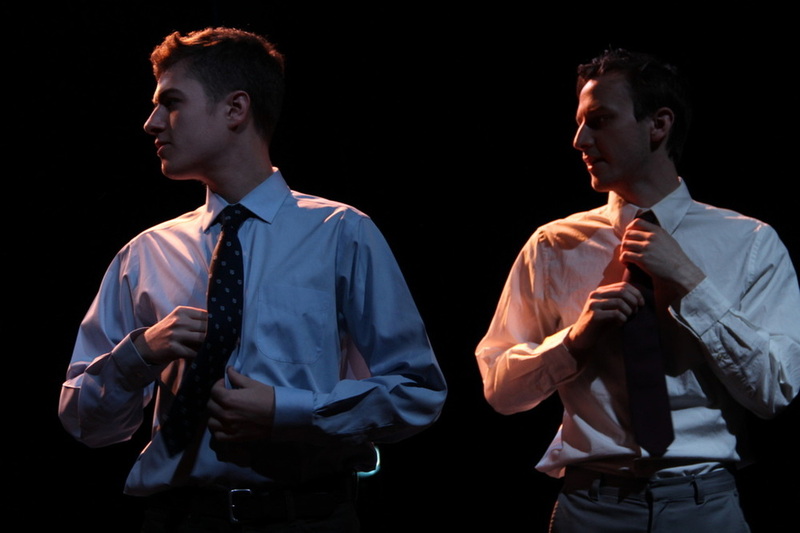 THE AMERICAN PLAY performed June 4-23, 2012 at The Bleecker Street Theater (45 Bleecker Street, New York City) as part of the 2012 Planet Connections Theater Festivity.